When Dorothy Hamill's hair ruled the world. 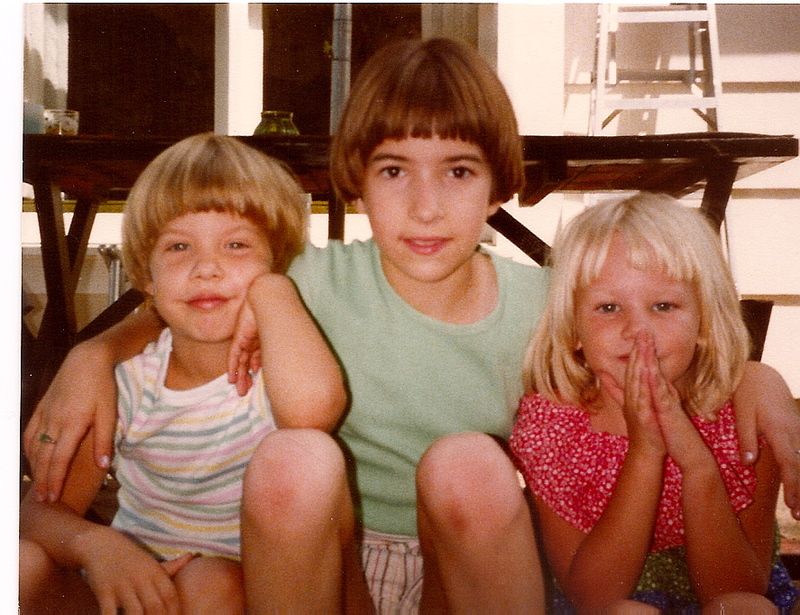 From left: me, my sister and my cousin, circa 1978. Below is a little something written in honor of my sister who still insists I only exist because she wished for me on her fourth birthday. How do you love your sister? what beautiful little girls! Times were simpler! What a wonderful poem…you made me recall all the little special things that I shared with my baby sister…and tho she is grown now…she is still my Baby Sis…thanks. I have two sisters also! Our soundtrack spands the 80’s, but would start with 60’s soul music! The link above will show you one of our frequent “3 sisters” pix – this one from 1978.